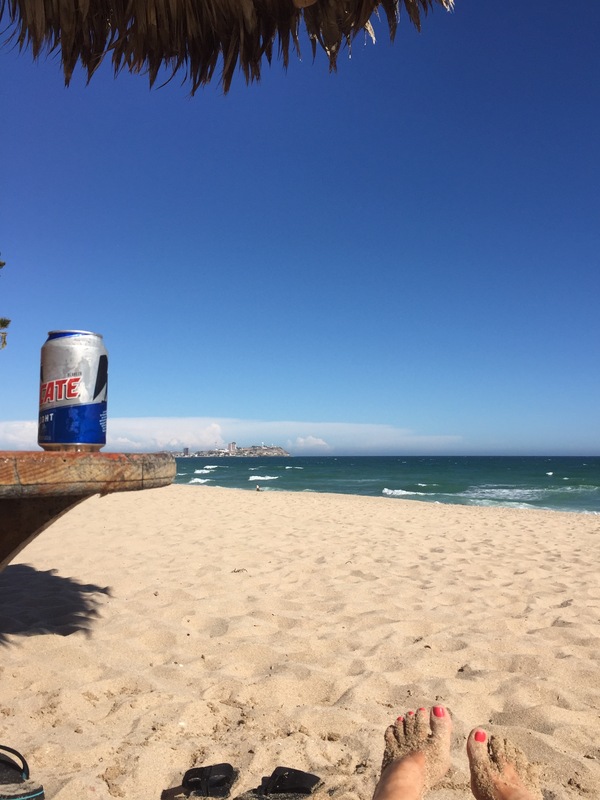 When I started writing this blog post, I was going to title it “Rocky Point: Arizona’s Hamptons.” But after returning from my recent trip to the small Mexican beach town just across the Arizona border, I realized that “Hamptons” was too much of a stretch – even in a tongue-in-cheek sort of way. Really, very little about Rocky Point screams the upscale Hamptons. 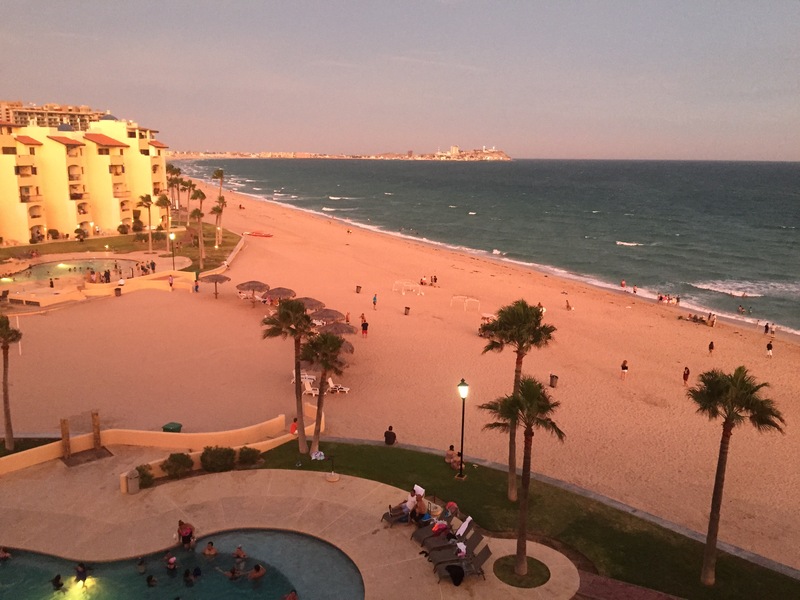 So, in search of another comparison, I decided the vibe of the Jersey Shore more closely matches the sometimes-raucous, unabashedly touristy feel of Rocky Point (AKA, Puerto Peñasco). Either way, what I was trying to get across is the beach get-away aspect of Rocky Point. Like New Jersey and New York, most regions of the U.S. have their go-to spots for a day on the water – everything from North Carolina’s Outer Banks to Washington’s islands, to Minnesota’s 10,000 lakes. But what about land-locked, arid Arizona? Where’s a desert dweller to go for a day at the beach? For me and thousands of other Arizonans, it’s simple: Head south of the border. 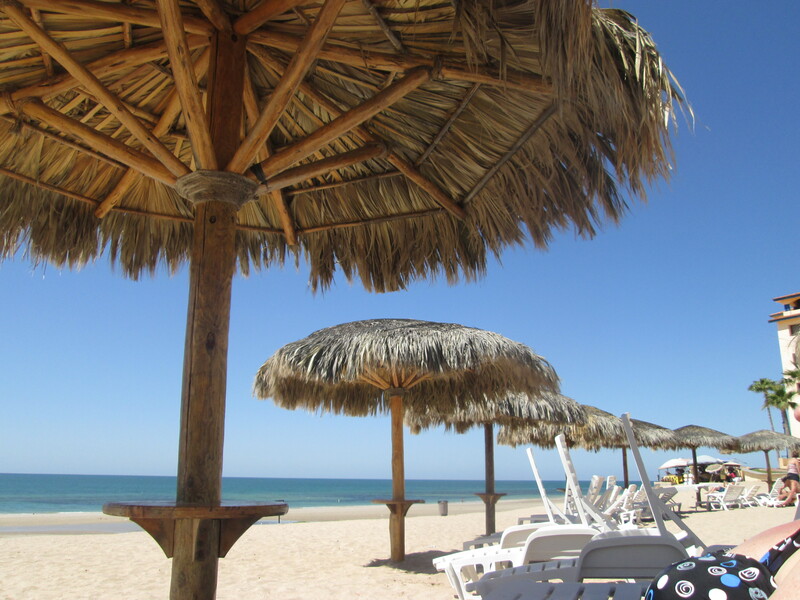 Puerto Peñasco lies strategically at the northern reaches of the Sea of Cortez – just an hour or so from the Arizona/Sonora border, and three and a half hours from Phoenix. Its proximity promises that Arizonans can be wading into the warm tide by early afternoon on the day of their arrival. 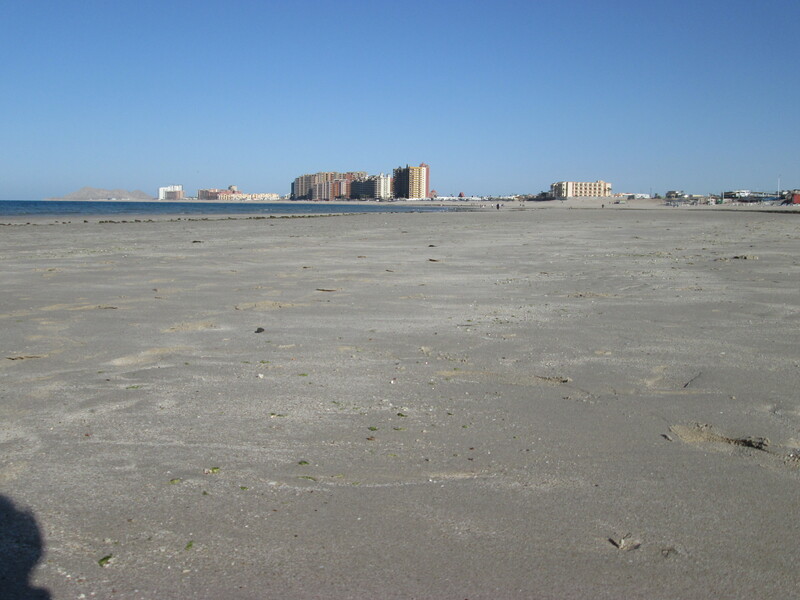 My love affair with Puerto Peñasco began soon after I moved to Arizona in the 1980s. At first, my visits involved pitching a tent in a campground along the beach. 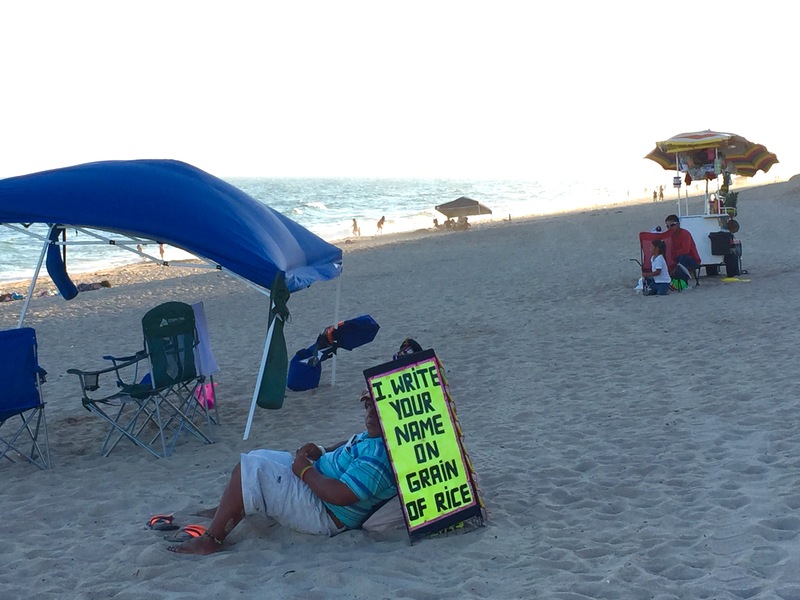 I loved it – waking up to the sounds and scents of the ocean, and the plaintive cries of “crispies, tamales, tortillas” from the ladies who peddled their wares along the shore. Over the years, I’ve tried all kinds of different accommodations, ranging from small hotels in town to beautiful beach-side resorts. 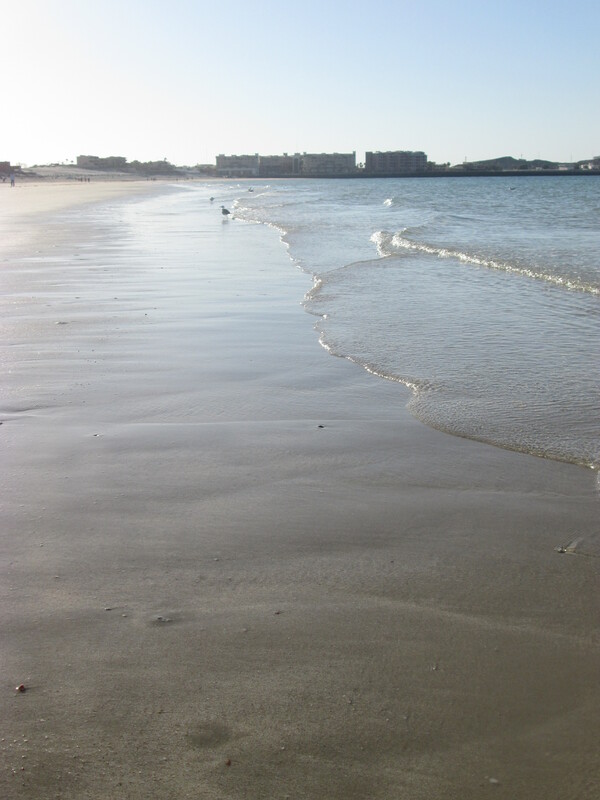 For the past few visits, though, I’ve settled on renting a condo along Sandy Beach, the main beach in Rocky Point. I love Sandy Beach for a number of reasons. For one: The obvious – it’s sandy! 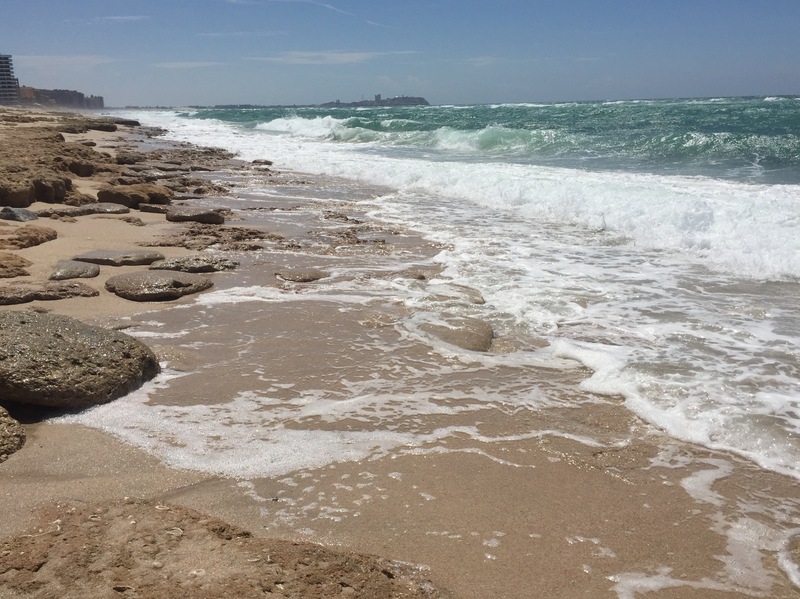 Compared to some of the nearby beaches that can be rocky and steep, Sandy Beach offers a wide, long strip of nice, fine sand with a gradual grade. For another: With Rocky Point’s huge tide differential, there are times of the day when you can walk far out across the hard-packed sand toward the water, passing by beautiful tide pools along the way. On this trip, I took a long, low-tide morning walk down the beach toward the old Reef bar (“Get Wrecked at the Reef” is its dubious slogan). I wasn’t looking to get wrecked, but I love walking along the open, unspoiled strip of sand between the end of the row of high-rise hotels, and the Reef. The only living beings I came across were a flock of noisy seagulls and a man digging for treasure in a sand with a metal detector. 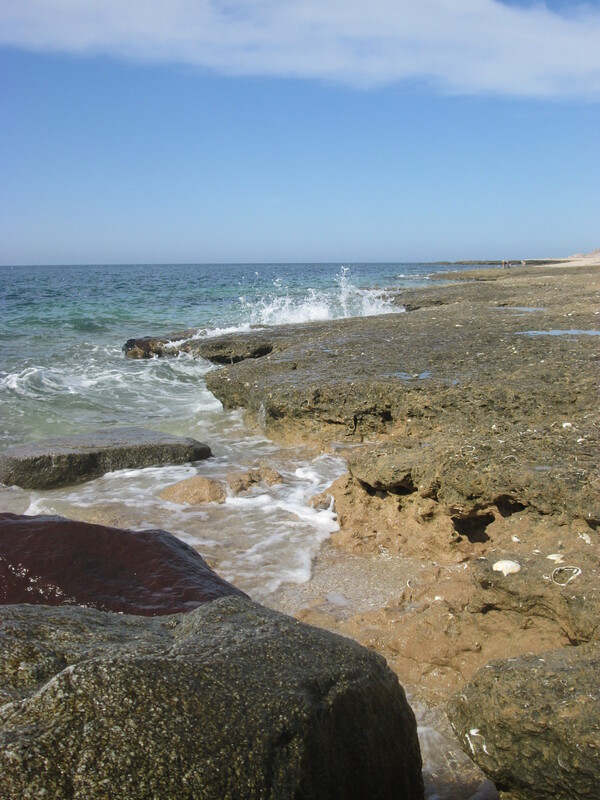 For more than an hour, I wandered along the crashing surf, skirting the rugged rocks and ridges of coral. But Rocky Point is changing (to be fair, it has been changing ever since I started visiting 25 years ago, as does every community). This change could be huge, though – a real game changer. 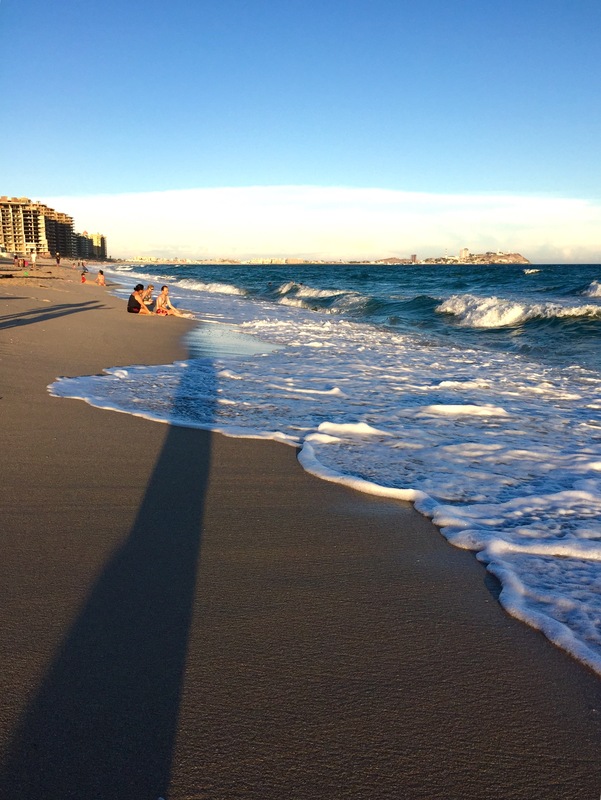 For years, I had heard about the plans for a cruise-ship terminal on Sandy Beach. I, like many other Arizonans, wondered if it would ever happen. Then, in 2013, construction got under way on the terminal that was to serve as a home port for cruise lines. Over the past couple of years, though, I had heard that the construction was halted for a variety of reasons: Questions from cruise lines about the depth of the ocean; environmental concerns about the explosives needed to deepen the ocean; labor disputes. 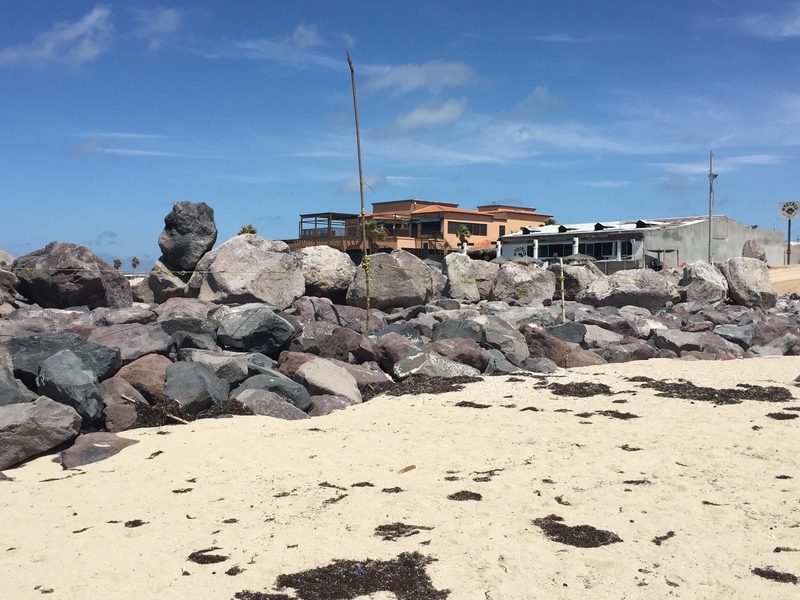 The work reportedly started up again a few months back, but I saw no activity on the developing breakwater, other than the security guard who approached me, with an incredulous stance, as I started picking my way across the rock wall to get to the Reef. I immediately turned around and headed back to the condo, not wanting a run-in with a Mexican guard. 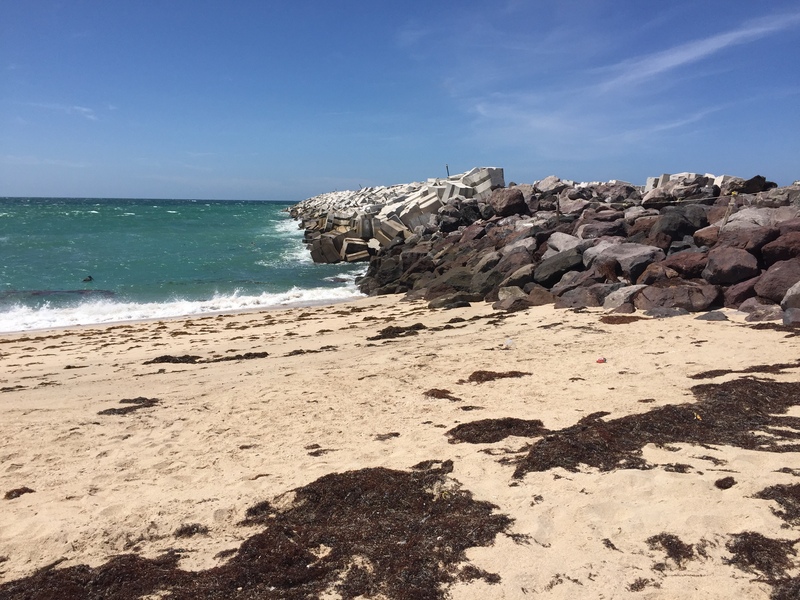 What I did see from my side, however, was a massive wall of rock and concrete blocks, extending far into the ocean – the makings, I assumed, of the pier for the cruise ships. As my sister and I later wandered through the busy downtown shops and drove the rutted, dusty side streets, we couldn’t help but wonder what a cruise port would do to that delightful/frustrating atmosphere of Rocky Point – the feeling that you’re in a foreign, yet familiar, place. Another burning question: Was Rocky Point up to the tens of thousands of cruise passengers who are expected converge on the town? Only time will tell. Mexican officials have postponed their original 2015 cruise-port opening projection date until early 2017. It will definitely be interesting, and who knows? Rocky Point might rise to the challenge and thrive as a cruise stop. For now, though, the community largely maintains its sleepy feel. 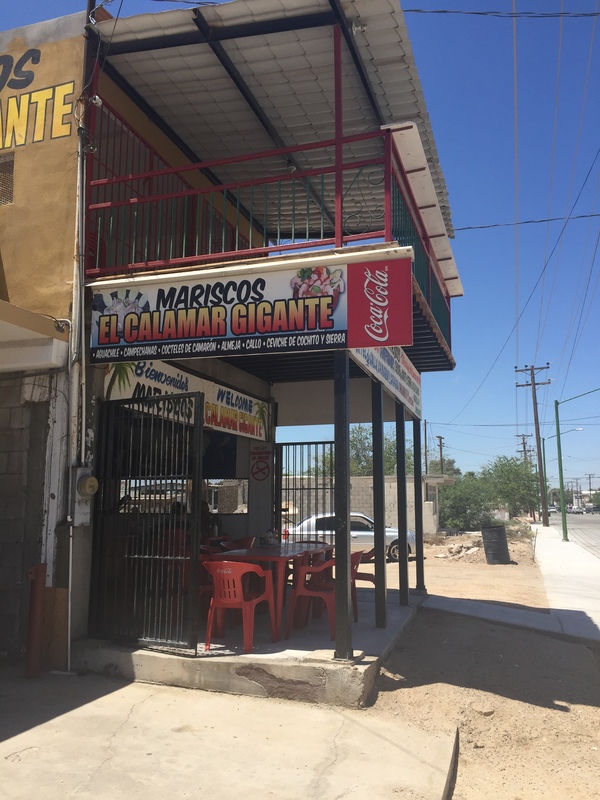 We drove down a side street (in search of a way around the massive road construction project under way on the main street), and found a disheveled looking little restaurant that boasted Mariscos – El Calamar Gigante (Seafood – The Giant Squid). Who could resist? What we discovered reminded us of one of the reasons Rocky Point had long been our favorite beach town. 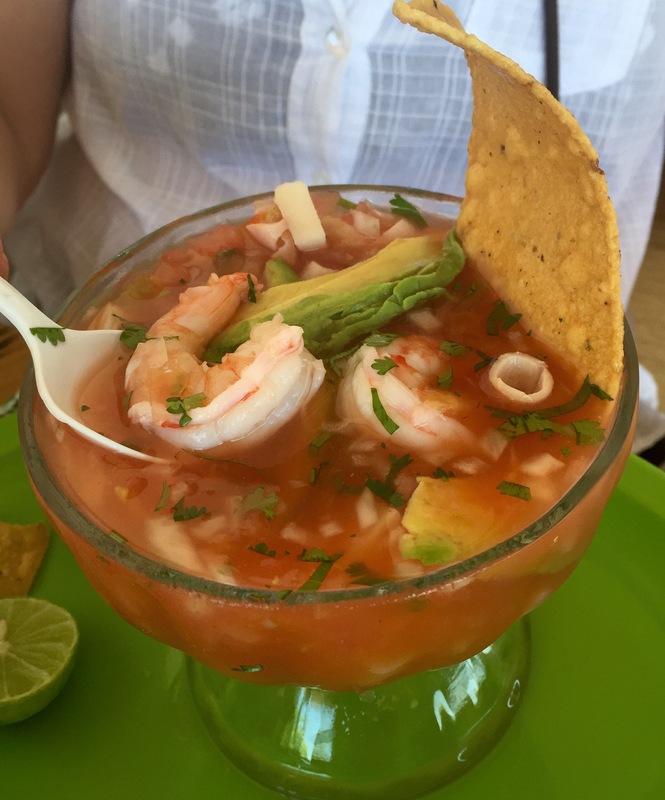 We had been in search of the perfect Mexican-style shrimp cocktail, and we found it – a sea of tender shrimp and calamari floating in a delicate, limey, tomato-y sauce. It was served with the traditional saltines, thick tortilla chips, and thin strips of avocado. It just might have been worth the trip!